With an email signature software, you’ll be able to make your brand stand out more in case you have a business. An email with a signature will allow you to proudly send emails anywhere, knowing that they look good. These solutions are best used for both small business and enterprises. There are lots of solutions both online and offline for email signature management on the market, and we picked up 5 of the best to help you in your challenging choice. Check out their features and pick the best email signature software for your needs. Xink is an email signature platform that is compatible with Windows and helps companies all over the world manage their email signatures. With its help, you’ll be able to create professional and branded email signatures and then manage them across all devices and email systems. It will be effortless to set up and customize the email signature according to your company’s specific needs. Xink can turn all your employees into ambassadors for your brand through email signatures. With Xink you can make custom email signature design. This is one of the best ways to manage email signatures across your business or organization. An email signature will enforce brand consistency and your professionalism. Xink will help you make it a breeze for the IT department to distribute email signatures all over your company across email platforms and various systems that are sending emails. You can use custom email signatures from Xink in any type of email. You can find out more about how to create the best email signatures on the official website of Xink, and you can start using it right away. Over 50 million users worldwide are currently using Exclaimer signatures software to obtain total control over their corporate email signatures. You can create attractive email signature software templates with HTML images and text. You will be able to get signatures with merged field data that is pulled from Active Directory/Office 365 Directory. Exclaimer lets you get high-quality signatures on your emails. You will be able to manage everyone’s signature from a central console in order to ensure high professionalism around your brand. You will be able to design different signatures for different departments. You can conveniently update every signature from your organization with just a single click. Signatures can include dynamic content including award logos, promotional banners, media icons and more. You’ll be able to turn corporate email into a low-cost, high-volume marketing program that will reach lots of people every day. You can capture data on clicks in the signature and feed them to analytics. With Exclaimer, you’ll be able to make sure that every message comes with the appropriate email disclaimer for legal compliance. Another important thing worth noting is that no unauthorized user will be able to redesign their own signature. Check out more about this email signature tool and start using Exclaimer to see how it really works. Email Signature Rescue is a professional email signature software for small teams, companies, and designers as well. 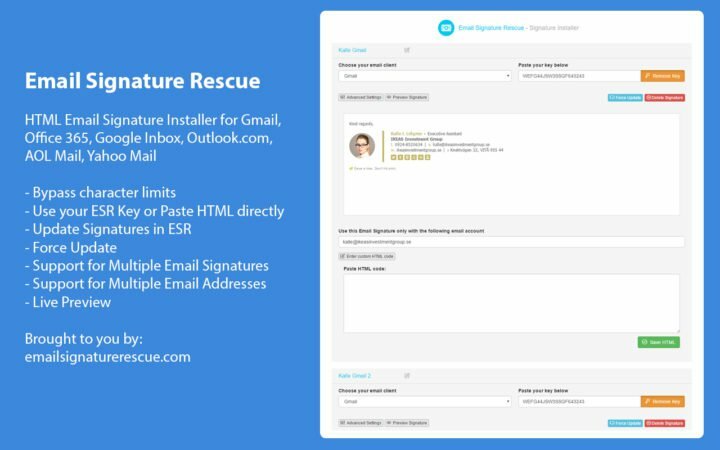 Using Email Signature Rescue, you will be able to create and customize signatures with the software, download, and email all signatures from the dashboard and install in more than 45 email clients following the easy guides. Using Email Signature Rescue software and the professionally designed and tested HTML email signature templates, you will be able to create, edit and manage all your HTML signatures online. Email Signature Rescue provides users various email signature template designs. You will be able to filter email signature template designs by the template name or features that you are looking for. With Email Signature Rescue, it will be effortless to customize any template design that you like according to your requirements. You can customize your new HTML email signatures online using Email Signature Rescue and choosing from over 20 professionally designed templates. You can also choose from the library of over 200,000 social media icons. With Email Signature Rescue, you’ll be able to use the easy image editing tools to upload your own images, logos, and banners and add them to your signature. You will also be able to crop, resize and upload your images with the software. 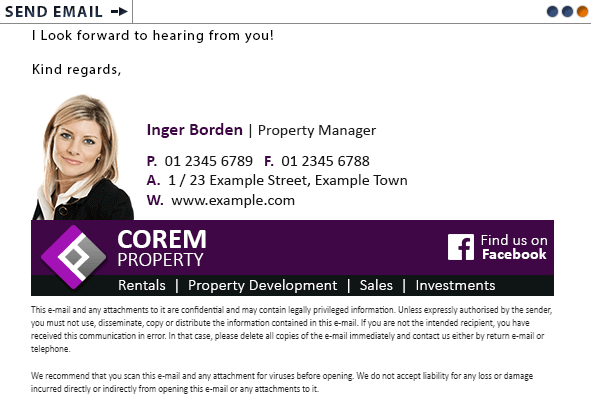 Email Signature Rescue also supports retina images and animated gifs as well. When you have finished customizing your signature, simply download it r get an API key from the Dashboard. You will be able to try out the program for a week to see how it works, and if you don’t like it you will get your money back. Check out Email Signature Rescue on its official website. CodeTwo Email Signatures for Office 365 is an administrative program that enhances your ability to manage company-wide email signatures and disclaimers. By using this tool, you will be able to gain control over every email traveling through your Office 365 tenant. You will be able to add signatures to your emails. 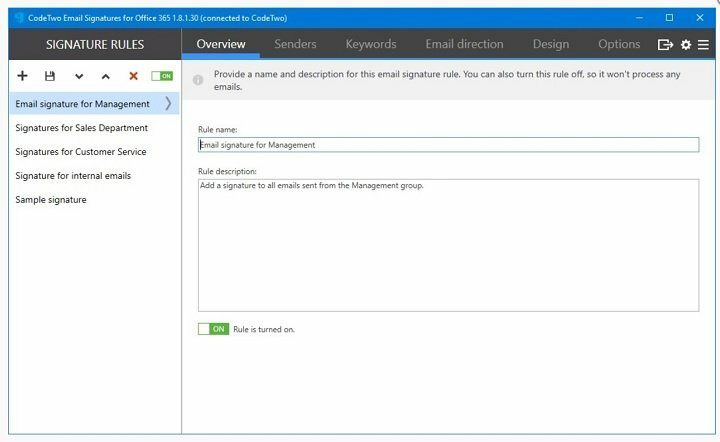 CodeTwo Email Signatures for Office 365 lets you personalize your signatures by using Azure AD data. You will be able to insert signatures under the latest replies and forwards. 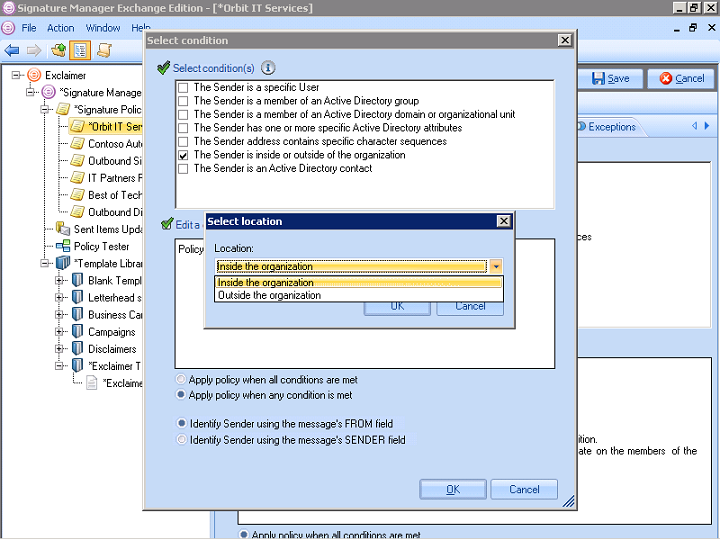 CodeTwo Email Signatures for Office 365 displays email signatures in users’ Sent item folders. You will also be able to add images and marketing banners to promote your business efficiently. You can use Office 365 users’ photos in signature templates. You will also be able to add personalized social media links to your email signatures. CodeTwo Email Signatures for Office 365 allows you to compose signature templates using a built-in HTML editor. 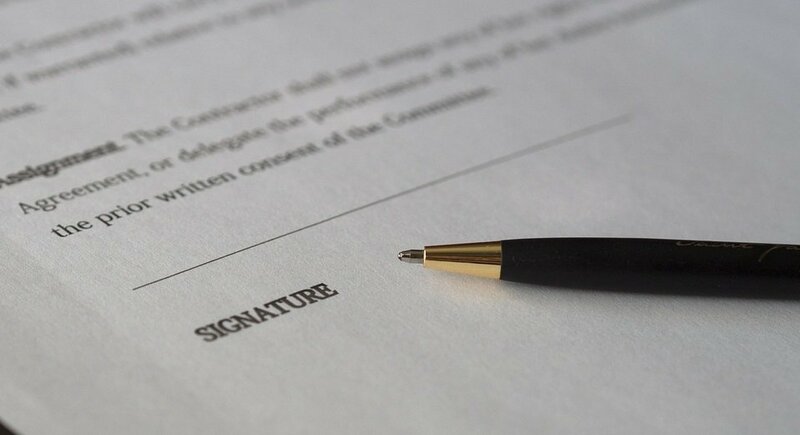 The signature will be visible while you are writing your email. Check out more about CodeTwo Email Signatures for Office 365 on the official website where you can go for the free trial or buy the software. With ZippySig, you will be able to create stunning email signatures that will give your company a professional vibe. You will get endless customization options to ensure a consistent and professional brand image. 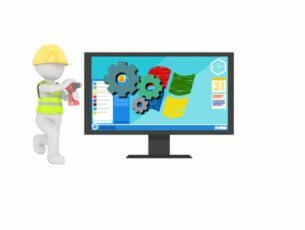 After signing up, your email signatures will be stored online ready for installation. Your email signatures can be edited, duplicated or deleted from your dashboard. You can choose from multiple plans: economy, (perfect for sole traders and micro businesses), business (preferred plan for most companies), and ultimate (perfect for IT or design companies). Check out more details on ZippySig and start using this email signature tool to see how it works. This is where our roundup of five of the best email signature tools comes to an end. Go to their official websites to check out more details on their features, and according to your needs pick the best tool for email signatures.